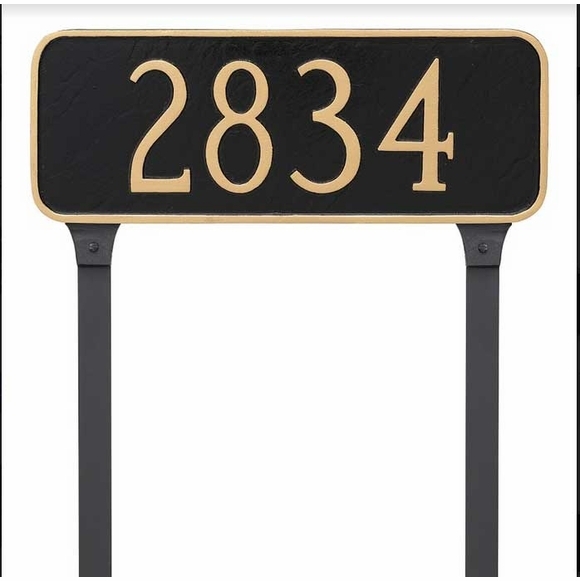 Lawn Mount Rectangular House Sign - - graceful 15.75"W x 6.00"H personalized house number marker. Rectangle shape accented with refined rounded corners. Includes two lawn stakes. Made in USA. Holds up to five (5) large 4" characters on one line. The bold minimalist design of this address sign is sure to appeal to urban millennials as well as to empty nesters. Wall Mount version also available (click top link in Related Products).